Pleasant Hill, California: We are pleased to announce that A Plus Tree and A Cut Above Tree Preservation are now officially operating as one. A Cut Above will now operate under A Plus Tree’s name and brand. A Cut Above Tree Preservation operates out of Midvale Utah and serves the greater Salt Lake City area. 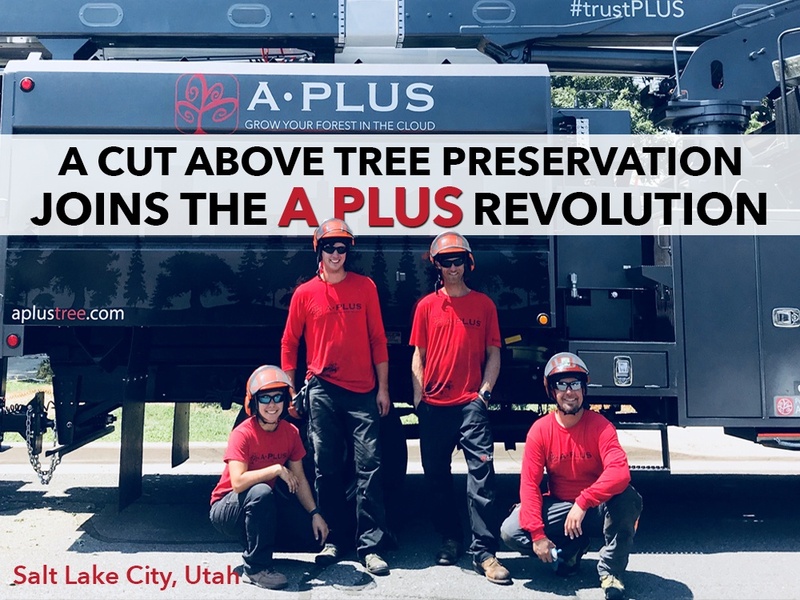 This merger will extend A Plus Tree’s reach from California, Oregon and Washington into Utah and help drive its healthy growth as America’s premier Tree Care company. As leaders in the tree care management industry, we pledge our continued focus, commitment, and passion to delivering outstanding tree, landscape and plant health care to all of our customers. Together, we will continue delivering the benefits and solutions you expect. We will provide the ultimate in tree care solutions and management by combining the expertise of A Plus Tree and A Cut Above Tree Preservation. A Cut Above Tree preservation brings over 10 years of expertise in tree care to A Plus Tree. Owner, Jeremiah Elder is partnering with A Plus Tree on the company integration work and both he and the crews are staying on board. Our commitment is to deliver the value, passion and expertise of the combined companies, focusing on you, the customer, and protecting your investments in property. We are excited about our future as your tree care provider and look forward to supporting all your needs. We encourage you to reach out to us with any questions you might have about this merger of two incredible tree care companies. More information can be found at www.aplustree.com and http://www.utahtreepros.com. Please don’t hesitate to email us at: marketing@aplustree.com or call us at: 866-815-2525.